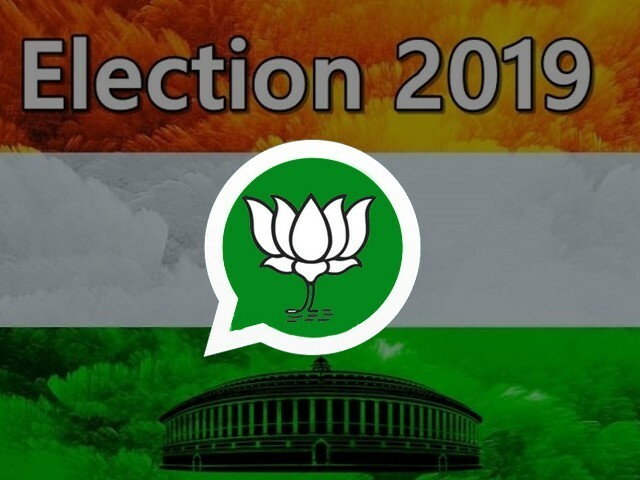 BJP has devised plans to have three separate WhatsApp groups for each of India’s 927,533 polling booths. What happens when those responsible for spreading propaganda and lies end up becoming the rulers? The lies become institutionalised. 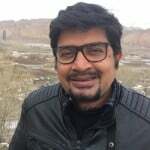 Modern India has never witnessed a propaganda onslaught of the sort that it is experiencing just before the general elections that are scheduled to take place between April and May of this year. We have moved far beyond old school newspapers and other such forms of print media. We now resort to electronic media and online platforms to wage war against our political opponents. This war has now even started invading our private spaces. The commonly-used WhatsApp messenger has become the latest tool of mass mobilisation and of whipping up hysteria. This war is being led by the soldiers that have been created by the ruling Bharatiya Janata Party (BJP). In this new age of unconventional warfare, these soldiers invade your mobile phone with fake messages to influence your so-called democratic choice. The report makes clear that although BJP is fueling this trend, other opposition parties are also resorting to similar tactics. The reason this is all so problematic is that it is an infringement of people’s basic rights. Their personal data is being manipulated to cater to the ruling party’s political goals. This controversy is somewhat akin to the Cambridge Analytica controversy that was brought to the fore sometime last year. Cambridge Analytica was the political consultancy company that worked for the Trump campaign and harvested raw data from up to 87 million Facebook profiles in order to influence political opinion. Across borders, the Modi regime is also attempting to do something along these lines. A government which has come into power with a brute majority five years ago struggles to tell people the truth. Five years of misgovernance and failure on all fronts speak this truth for them. As a result, an army of liars has been created by them, which seeks to spread lies, hide the true face of the regime and portray any political opponent as ‘evil’. In this new-age war, people are left with no choice but to obey. If someone dares to resist, they will not only be shamed publicly but also potentially harmed, especially if they dare to speak up. My friend Jagan, for example, does not want to be part of a WhatsApp group that spreads false propaganda against the opposition. He has, however, been added to the group without his knowledge, much less consent. Jagan constantly receives messages such as these on his mobile phone. He exited the group, only to be added again in a different group with the same sort of messages. With a strong section of mainstream media already catering to the ruling party’s narrative, the propaganda machinery of the BJP is additionally trying to cover the space not occupied by mainstream media. This isn’t exactly surprising considering the fact that the BJP is in no way short on money. Congress leader Rahul Gandhi has long been at the receiving end of this war. He has been caricatured as a weak, dumb-witted leader and the right wing Hindu leaders never miss an opportunity to insult the young leader. Despite all this, Gandhi has emerged as a strong contender to Modi and climbed the popularity chart in no time. Fake news has never been as common or enjoyed the sort of legitimacy that it has in recent times. Majority of those who propagate fake news are in some way or the other linked to the ruling party. The last five years of the Modi regime has seen more unrest than stability. The promise and hope of a new India that brought a divisive figure like Modi to the helm of affairs remains unfulfilled. India now demands to know what the government has done for the people in the last four years. The government’s incompetence and inability to perform is being covered up by routinely spreading fake news. Data is manipulated and figures are twisted, just to present the government in a more positive light. The government’s failure in Kashmir is being covered up and fake news is being spread that everything is normal in the state and that the terrorists are being dealt with firmly. Meanwhile, regular army strikes against Pakistan are being presented as a massive victory. The whole idea behind the fake news propaganda machinery is to blind the reasoning and rationale of the recipient by feeding on their religious and nationalistic sentiment. One has to understand that the Modi regime is not a normal government. It is a government which under the farce of ruling, wants to establish a majoritarian agenda. Their first priority has never been governance. They’ve always only had on one thing on their mind: to alter the secular narrative and create a system where majoritarianism is central for them to maintain power. The purpose behind establishing the army of liars and the propaganda machinery is that the Hindu right wing wants to spread fear among the majority Hindu community about the supposed dangers that the Muslim minority poses to them. Many of the religious riots that have taken place in recent times are also because of spreading false news of Muslims attacking Hindus or killing cows. In a few cases, for example, a mob pretending to be Muslim attacks groups of Hindus in order to create tension in society. Polarisation along religious lines is a tactic BJP has often resorted to in order to increase their vote count. The Indian people, however, are not entirely naïve. No matter how hard the BJP tries, the crisis that the country faces cannot be indefinitely hidden from the people. The truth will ultimately come out. Unlike in 2014, when people blindly bought the narrative of the Gujarat model of development, Indians today are not as foolish. People have by now realised that the Gujarat development model was nothing more than a publicity stunt by the BJP. Can the fake news and propaganda machinery employed by the BJP halt the diminishing popularity of their government or is the BJP in danger of being trapped into believing its own lies and propaganda?